I was driving down my street the other day, in a hurry, as usual. I had to stop because of a duck. Actually that duck in the photo wasn’t the problem. 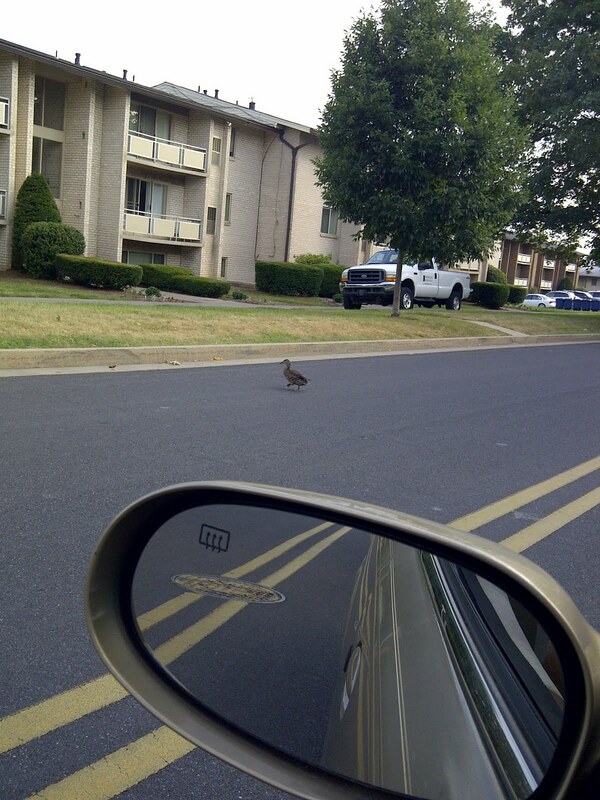 The problem was the one that ran back in front of my car and waited for a couple of his buddies. There will be a much larger flock in the fall. 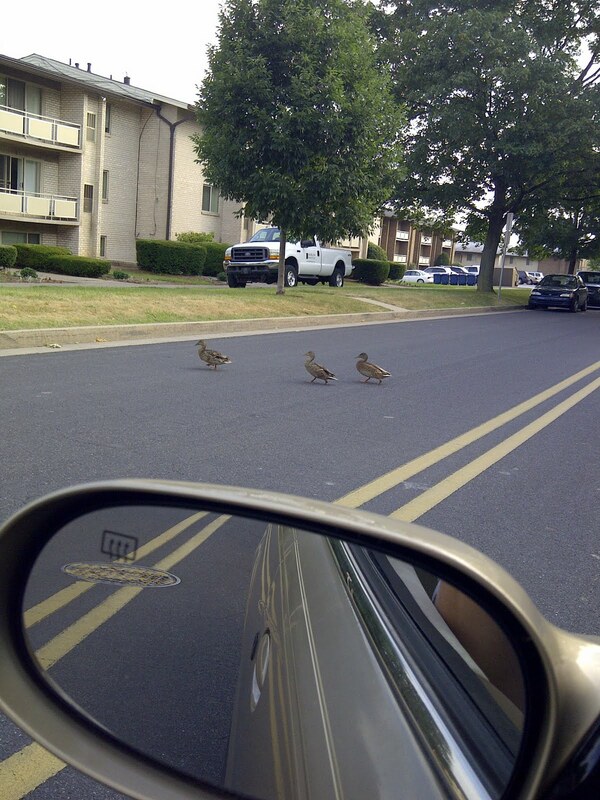 I have had to stop the car, shoo the ducks to one side or the other and wave cars through. If I don’t ‘draw fire’ for the other cars, no one gets through. run back and forth; it looks like a bunch of high school kids all trying to make sure the best cliques are on either side of them before they can go anywhere. It has been so hot here for several days. 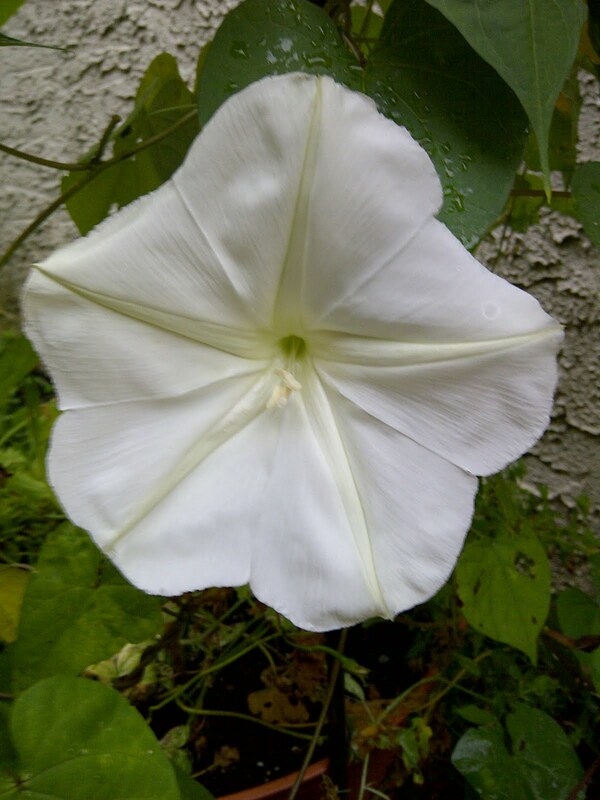 My poor moonflowers would open and sag. Finally, last evening, one of the flowers opened as fully as it’s supposed to. Yay!